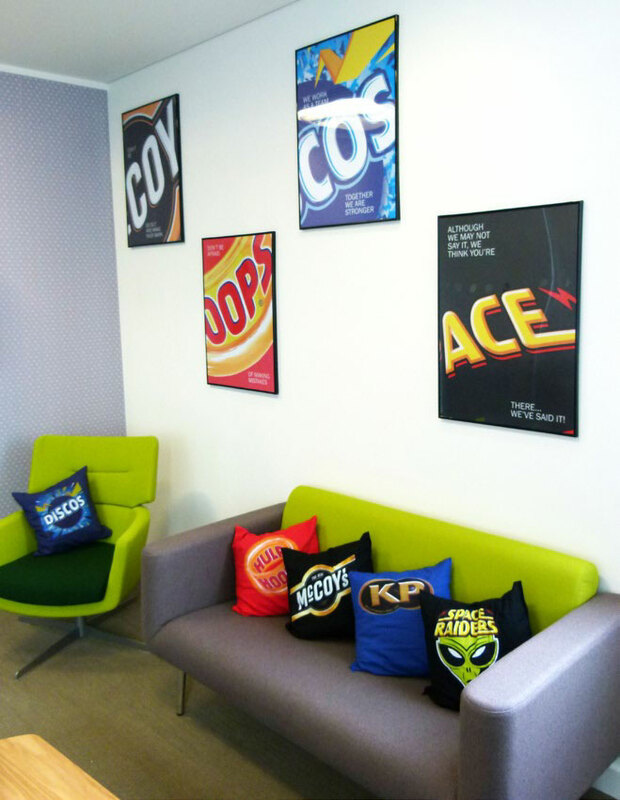 Tothepoint has taken famous KP brands including McCoys, Hula Hoops and Space Raiders and used elements of their identities as part of a redesign of the interiors of the company’s HQ in Slough. 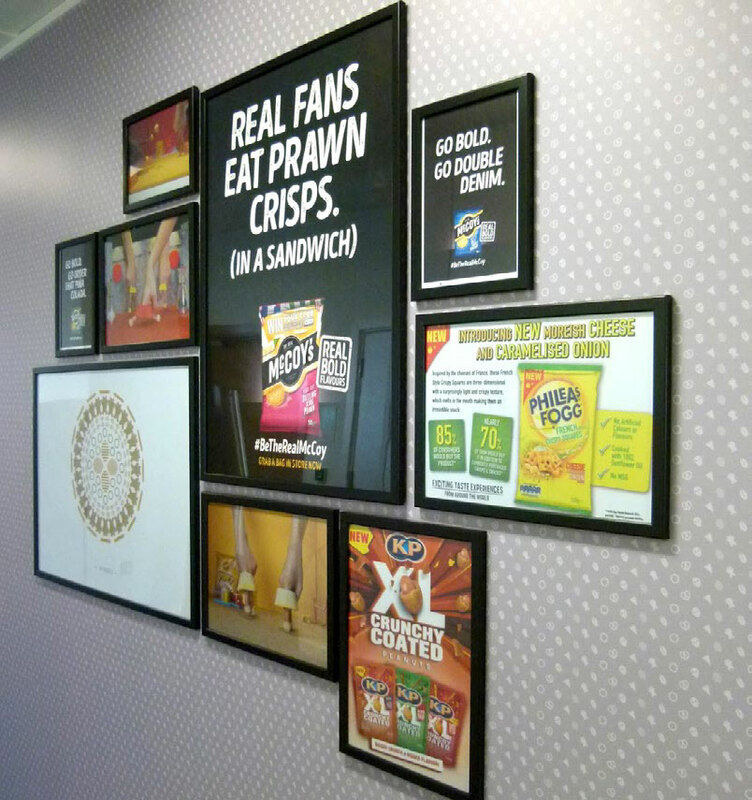 The consultancy was asked to reflect the “fun, energetic, brand culture” of KP and the “serious, corporate culture” of its owner Intersnacks. 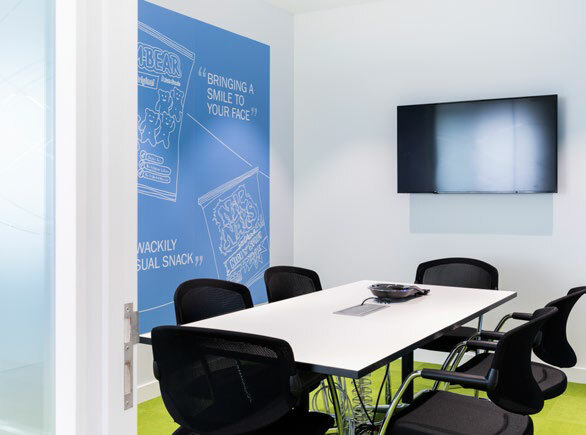 Design and fit-out consultancy Tetris was engaged to overhaul the interiors and To The Point worked alongside by using graphics to create zones that catered for different audiences. 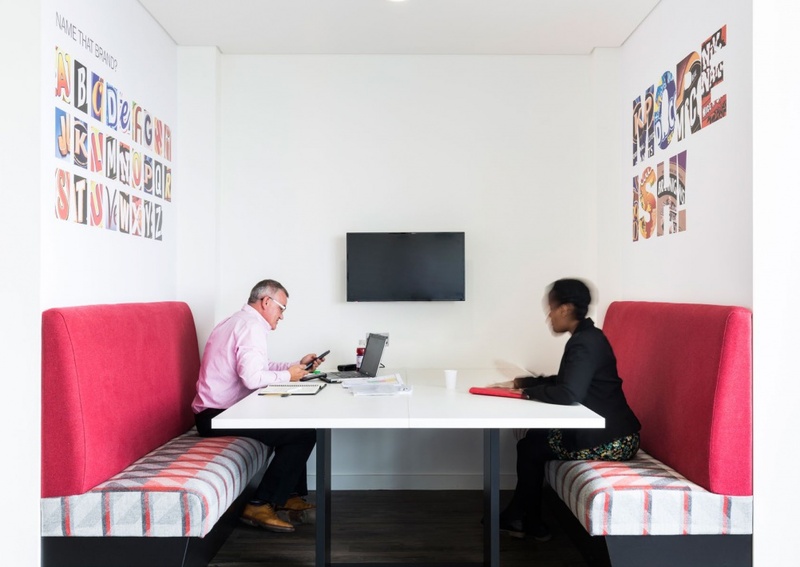 While client-facing areas have a “corporate, conservative” feel, the staff areas are comparatively “playful and light-hearted” according to Tothepoint creative director Kevin Cox. “We came up with a whole slew of ideas and they cherry-picked what they liked. 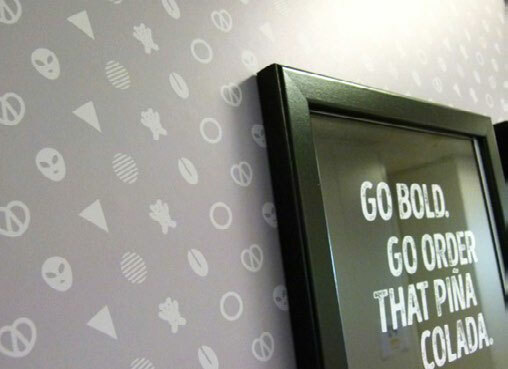 Really we were saying: ‘Here are some ideas, show us what you’re comfortable with.’ We wanted to take their brands and give them back in a way people might not have seen before,” says Cox. Familiar parts of the identities have been extrapolated to make new messages, such as “Moorish”. 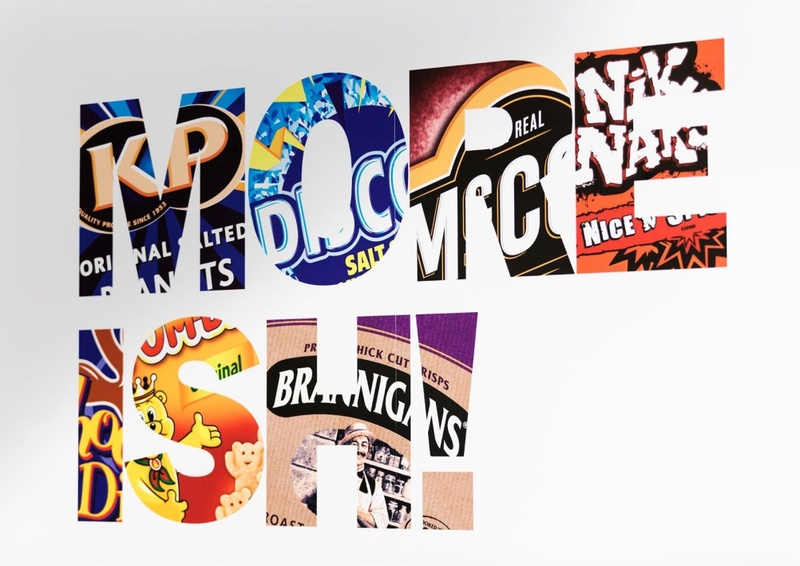 Meanwhile a “name that brand” game has been devised from an A-Z of logo letters, logos have been re-framed to make motivational posters and soft furnishings such as cushions have been created. 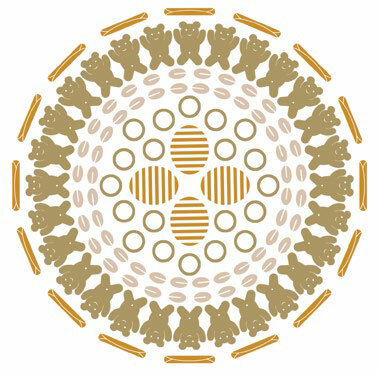 Wallpaper has been designed with subtle repeat patterns of individual snacks, which reveal themselves close-up. 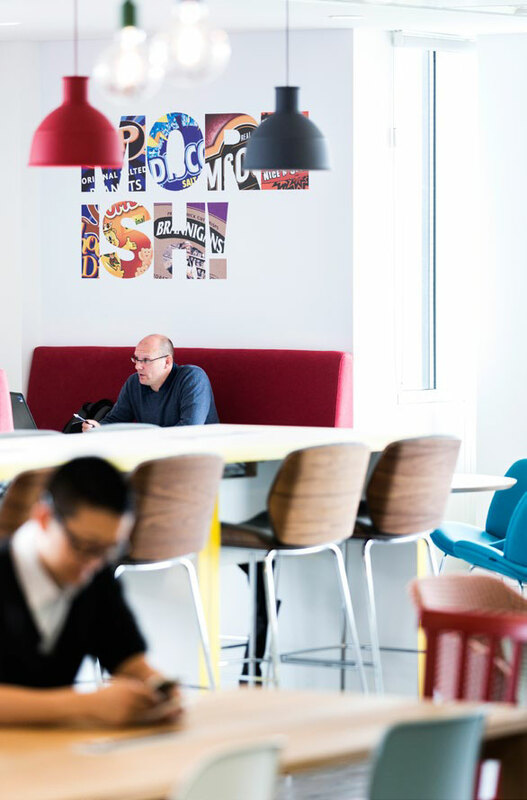 “There’s a trend with office spaces to look more domestic these days and we felt it was a good way to make a large impact in certain areas,” says Cox.